Enhancing and improving the customer experience continues to be a top priority for companies both big and small. In fact, 86% of buyers today say they are willing to pay more for a great customer experience. Sure, a lot of us may offer a great product or service, but customers today want to feel desired, special and appreciated first and foremost. In essence, they want your company to have a customer-focused culture. For companies that aren’t quite up to speed with what matters most to customers these days, time is ticking! By next year, customer experience will overtake price and product as a key brand differentiator, Walker reports. Step 1: Develop a great product or service. Step 2: Get people to buy it, and make sure they really like it so they tell others about it. Step 3: Use word-of-mouth from existing customers for more sales. Step 4: Develop new products that your customers want. Step 5: They buy more from you and tell even more people about it. Today, how well we treat customers is quickly taking precedence over how “great” the product or service is. Of course, having a great product is important to customers. But it’s just not the most important thing. Bonus points to companies that excel at a customer-focused culture and offer a great service, too. There are a lot of successful companies that have a customer-focused culture and are considered “rock stars” in customer service, regularly winning awards and earning plenty of recognition in the media. Some of these companies include Apple, Intel, Accenture, Procter & Gamble, 3M, Nike and Edwards Lifesciences. 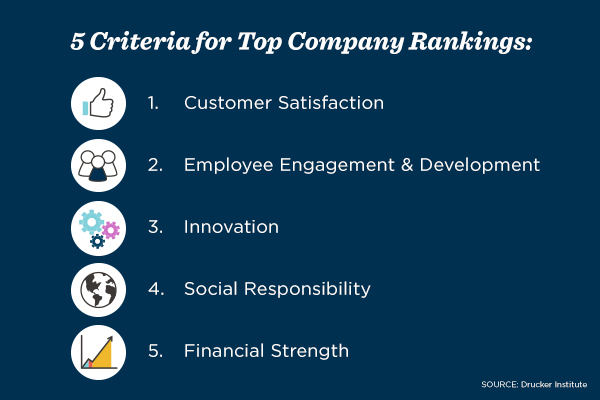 According to the Drucker Institute’s 2018 Management Top 250 rankings, these seven companies are the only ones who scored well above the other 243 companies in all five judging criteria: customer satisfaction, employee engagement and development, innovation, social responsibility and financial strength. The one commonality that ties these seven companies tightly together? Customer satisfaction. This all seems like common sense, right? But for a lot of us and our companies, we lose our way and get caught up in a myriad of activities that diverge from the simple mission of creating and developing products and services that add value for our customers and future customers. We become too focused on things that are removed from adding value to the customer, and wake up one day and wonder why growth is elusive. Each and every customer relationship is different and needs to feel like it is being nurtured individually—even if it isn’t. 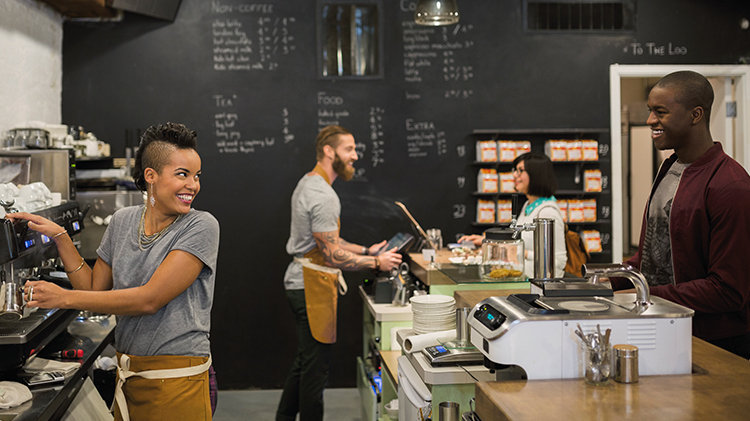 Because today, how your customers feel about your company is your brand. Do the hard work it takes to build good relationships with customers. Understand what they want, keep promises, adjust to their changing needs and let them know what they mean to you. Customer Immersion. Formalize a program to have all leaders spend a day on the front line with customers—whatever your “front line” is. Customer Listening. Maybe you already do it and it just needs new energy, or maybe it’s time to get it started. There are a lot of great companies out there to help get you started: medallia.com, hootsuite.com, inmoment.com, clarabridge.com, etc. Cross-Functional Customer Experience Teams. Formalize teams to work on specific aspects of the customer experience. Focus on creating both positive outcomes and quickly addressing and improving high-impact negative ones (also known as moments of truth). Customer-centric companies are 60% more profitable compared to companies that are not focused on the customer. A Bain & Company analysis also found that companies that excel in the customer experience grow revenues 4% to 8% above their market. That’s because a superior experience helps to earn stronger loyalty among customers, turning them into promoters who tend to buy more, stay longer and make recommendations to their friends. In the end, how our customers feel about our companies is the result of the experiences they’ve had, not just the actual product or service itself. It’s always a good time to refresh and refocus on the customer. Pause for a moment to consider what your customers really want; what they really need—even if they don’t know they need it. This pause alone will help you focus on the customer. As a marketer, go one step further. Ask yourself, “Do my customers know that I care?” And if you haven’t told them recently, then it’s time to tell them sincerely, and honestly. Because without customers, we don’t have a business or a future business. Our customers are the foundation and the future growth as long we stay focused on them.